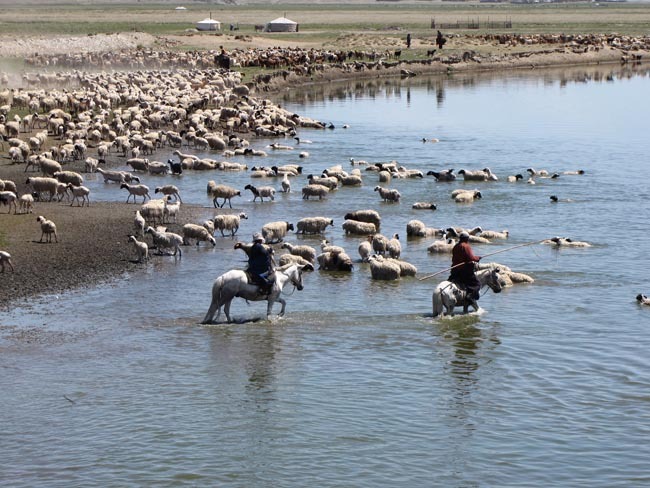 Remote, exotic, mystical Gobi Desert; Annua Naadam Festival; Ancient capital of Karakorum; Traditional cooking class and evening concert; friendly nomadic herds people; Sleep in a ger! Optional Single Supplement: $841 USD (number of singles limited). This is a fantastically-varied, highlight-packed exploration of this ancient and beautiful country. 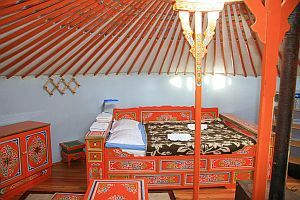 All accommodation on our Mongolia tour, including all ger camps, feature comfortable amenities and en suite bath and toilet. Excellent. Mongolia is my favorite country. The 'small town' Naadam festival is wonderful. To me the Gobi desert and the Naadam Festival were the absolute best parts of the trip, even if the Naadam was sort of thrown together. I loved being out among the local people in the middle of nowhere. The Intelligence Museum was pretty interesting. The Ger Camps were better than I expected. Our tour leader may be the best tour leader I've ever had. I don't think I can say any more good things about him, but he's a keeper. Loved the diversity of this trip. Loved the local Naadam festival. It was great being able to talk to the people involved. I really enjoyed the home visits but appreciated the creature comforts in Ulaanbaatar. The gers with bathrooms were the best; larger and nicer than we expected. Nice amount of outdoor activities and nice museums. Seeing how a ger is put up was a great event and trying to find our nomads for lunch was fun. The national park looking for the horses was interesting. Local guide was excellent and she traveled with us the whole time. Smart, lovely lady who was most helpful. Drivers in the Gobi were fantastic and helped on hikes, etc. Dinners were wonderful and I am still talking about them since we expected to eat the "tuna" we brought there and thankfully home again with us. Restaurants were really great but a few times we were so tired that we didn't enjoy the leasure part of dining. We try to pick AA over other tour companies because we like that we get dinner every night, no extras, everything is included, usually a full day of sightseeing but do like a little free time, no pressure shopping but do like to see how things are made. 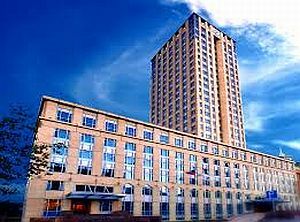 Today we arrive in Ulaanbaatar and transfer to our hotel. Situated in the landlocked plateau of Central Asia between Russia and China, Mongolia covers a territory larger than that of Great Britain, France, Germany and Italy combined. Mongolia’s considerable size comprises a great array of untouched landscapes, and a nomadic people whose lives in many ways are unchanged from the days of Genghis Khan and the mighty Mongol Empire. 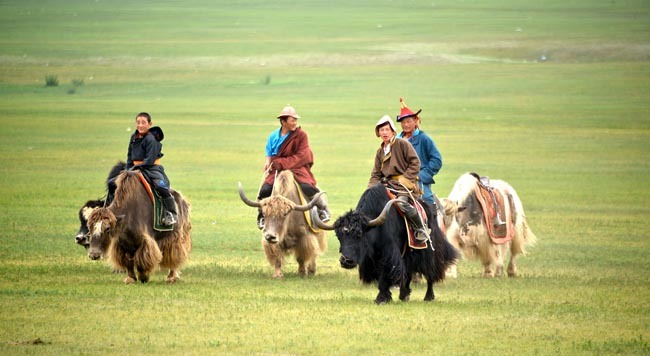 Here, the nomadic herders still depend on nature for survival, and treasure their open landscape and wide steppes! Ulaanbaatar, also Ulan Bator or simply just UB, is the capital and, with a population of around 1,300,000, also the largest city in Mongolia. In fact, according to recent estimates, this means approximately 45% of the country lives here. Ulaanbaatar has a long history, and is only now undergoing an industrial revolution. As traditionalists, Mongolians love their capital. One part of the population lives in condominiums in the central part of the city while the majority of the population lives in what is called as ger districts. These districts, traditionally home to many of the city’s blue and white collared workers, has recently also become a home to many migrating ex-nomads who in recent years have come to the city to find work after severe winters have killed their livestock. After breakfast we will start our tour of Ulaanbaatar, situated in a valley with mountains on the outskirts. Few people in UB speak English. Most speak at least some Russian, but the local lingua franca is Mongol, a language distantly related to Turkic tongues, but in its own family. We begin with a visit to the Gandan Monastery, housing a 26-meter-high gilded statue of the Buddha. The 150 resident monks make the temples lively with plenty of chanting and ceremonies, and you will have the chance to take part in the morning chants. Gandan is the seat of Buddhism in Mongolia, and most of the temples and monasteries, along with their belongings, were destroyed during the Stalinist purges of the late 1930s. Gandantegchinlen Khiid survived because the communists kept it as a showcase to impress foreigners. Roughly meaning 'the great place of complete joy', Gandan is one of Ulanbataar's most amazing sights. Within it are several glorious temples adorned with gold and jewels. Later we will visit the National Museum of Mongolia, which has a number of fascinating displays of traditional Mongolian clothing and weaponry, as well as exhibits charting the course of Genghis Khan's empire-building. We will stop at the Main Square of Ulaanbaatar, with it’s statue of Genghis Khaan & Sukhbaatar -- 2 national heroes of Mongolia. Chinggis Square, formally Grand Chinggis Khaan Square, and previously known as Sükhbaatar Square is the central square of Mongolia's capital. During Mongolia's socialist period, Sükhbaatar Square was the scene of annual civil, youth, and military parades until 1989. After a lunch break at a local Mongolian restaurant we will head to the Bogd Khan’s Palace Museum and the Buddha Park. The Winter Palace of Bogd Khaan -- one of the first museums in Mongolia -- was built in 1924, and it used to be a winter residence of the last Bogd Khaan of Mongolia, Javzandamba. There are six temples in the grounds; each now contains Buddhist artwork, including sculpture and thangka. The Buddha Park features an 18m-tall standing Sakyamuni image. erected in 2007. Today we head to the north through the green grasslands of Central Mongolia. We will visit a nomadic family, where we will see how the nomads produce dairy products such as Airgag – the famous Mongolian fermented horse milk drink. Today, approximately half of Mongolia’s population is still roaming the vast plains living in their mobile ger camps and changing location several times a year. Nomadic life thrives in summer and just ‘survives’ during the winter. 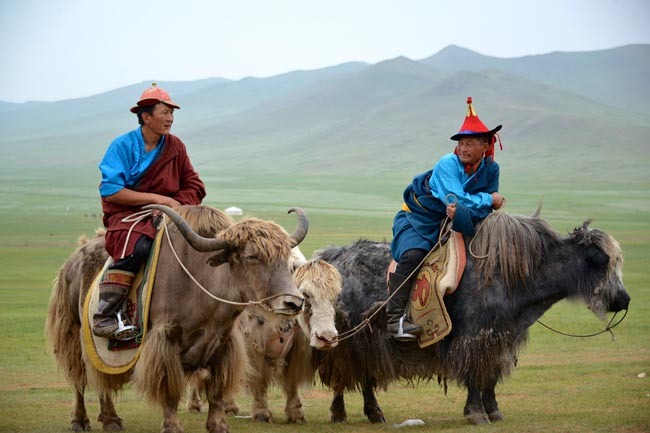 For centuries the Mongolian people have developed such qualities as strength and resilience that are essential for survival in this harsh nature. 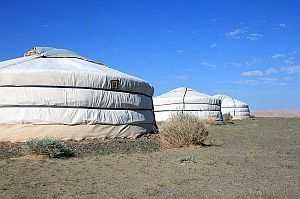 Over the past years the number of nomads has significantly decreased as many have moved to the capital city being compelled by the necessity to search for alternative means of subsistence. With a stop for lunch along the way, we will reach Kharkhorin village in the early evening. Munkh Tenger Ger camp or similar. Located in Outer Mongolia, Karakorum is a small settlement with a glorious past. The site of Karakorum may have been first settled about 750. In 1220 Genghis Khan, the great Mongol conqueror, established his headquarters there and used it as a base for his invasion of China. Despite its relatively small size, Karakorum was one of the most important cities in the history of the Silk Road. Although founded by Genghis Khan in 1220, Karakorum's development as capital of the Mongol Empire occurred in the 1230s under his son Ögedei. Today we will visit the legendary monastery Erdene Zuu. 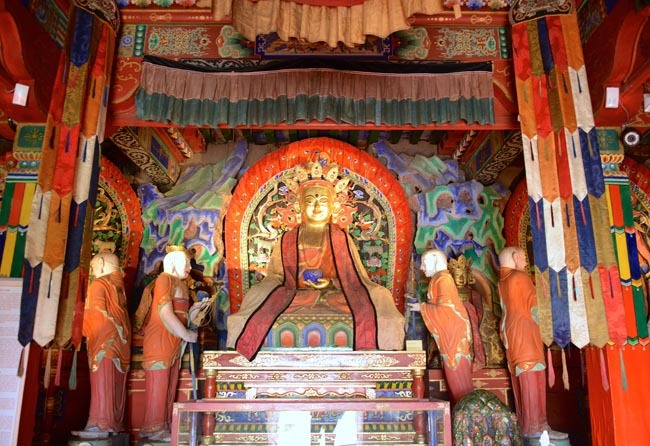 Founded in 1586, this was the first Buddhist monastery in Central Mongolia. In the afternoon we will visit the newly established Museum of Karakorum which provides a great introduction to Central Mongolia, its’ history and the UNESCO world heritage site in the Orkhon river valley. This evening you will have the chance to watch and learn how the famous Mongolian dinner “khorkhog” is made - a whole goat/lamb roasted with hot stones from the inside & outside! This morning we travel east towards the Hustai National Park. The Mongolian Government declared Hustai National Park as a Specially Protected Area in 1993 after the reintroduction of the Przewalski's horse (Dzungarian horse), a rare and endangered subspecies of wild horse. The park covers over 50 hectares of land and is home to many species of plants, lichens, moss and mushrooms. 44 species of mammals have been recorded here, including Mongolian gazelle, Wild sheep, Ibex, Mongolian marmots and the Eurasian badger. Over 215 species of birds have been recorded in the park. In 2002 the National Park was designated as a UNESCO protected biosphere reserve. Along our route to the National Park we will stop at the Elsen Tasarkhai -- a picturesque combination of rocky mountains, green grasslands, pretty lakes and sand dunes. Today we enjoy lunch at a Ger Camp along the way. Upon arrival in the Hustai National park we will head to our Ger Camp. We will visit the National Park Information Center where we watch a documentary about the park and the Takhi wild horses. We hope to have the chance to witness these beautiful wild horses and other wildlife in the wilderness, and we will enjoy a light hike in the surrounding area. Those who do not wish to hike can simply relax and enjoy the setting of our Ger Camp and its surroundings. In the morning after breakfast we drive back to Ulaanbaatar. When back in the city we will visit the Choijin Lama Temple Museum. Located right in the heart of the city, the Choijin Lama Temple Museum is an architectural masterpiece of the 19th and 20th century. Here we find several temples housing collections of sacred and liturgical objects, notably masks of ceremony for the tsam dance (religious dance). You will also have the opportunity to admire paintings, sculptures, embroideries and masks dating back from 17th, 18th, 19th and 20th centuries. Our destination today is the beautiful Terelj National Park. 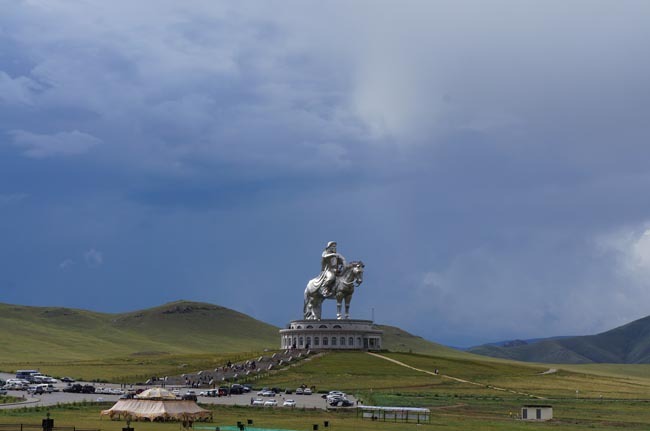 Along our route we will make a stop at the giant Genghis Statue – the newest landmark of Mongolia. To Mongolians Genghis Khan is a national hero, a larger-than-life figure and the symbol of Mongolian culture, and for good reasons. Genghis Khan founded the Mongol Empire, which became the largest contiguous empire in history, revived the Silk Road, united warring tribes and cemented the position of Mongols on the world’s map. In 2008, a gigantic statue of Genghis Khan riding on horseback was erected on the bank of the Tuul River at Tsonjin Boldog, 54 km east of the Mongolian capital Ulaanbaatar, where according to legend, he found a golden whip. The statue is 40 meters tall and wrapped in 250 tons of gleaming stainless steel. The Terelj National Park is the third largest protected area in Mongolia, and one of the most beautiful places in the country. Today we will enjoy lunch at a Ger Camp in the Terelj, and then we will take part in a traditional Mongolian archery session with an archer or two. Afterwards we will visit the Turtle Rock and the Temple of Meditation, and enjoy some light walking / hiking in wilderness. We later return to Ulaanbaatar at the end of our day. Early this morning we depart for our flight to the Gobi Desert. The Gobi desert, one of the world's great deserts, covers much of the southern part of Mongolia. Unlike the Sahara there are just a few sand dunes in the Gobi. Here you find large barren expenses of gravel plains and rocky outcrops. Many visitors regard the Gobi as a remote, exotic and mystical place. While it is some of those things, it is also mainly grass, shrubs and rocks. Oases and sand cover only about 3% of the desert. The word Gobi refers to a shallow, wide basin. Upon arrival in the Gobi we will drive to the glacial Yoliin Am Gorge. Yolinn (Yolyn) Am was first established to conserve the birdlife of the region, but today it is more famous for its dramatic rocky cliffs and narrow, heavily shaded canyons that allow sheets of blue-veined ice to survive well into the summer. Here we will walk in the narrow gorge where we hope for some wildlife sightings. Our route passes the 'Three Beauties', the final peaks of the range, and then cuts through the range itself. We will make a break in the day to enjoy lunch at a tourist ger camp. Eagles overhead scour the desert for prey, while below families of nomads gather for felt-making, or stand in groups beside their livestock at the scattered wells. In the late afternoon we drive to the Dream Gobi camp, which will be our home for the next few nights. 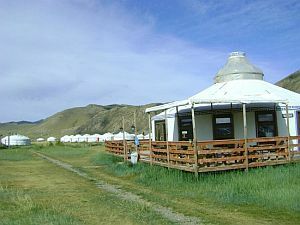 After breakfast at the camp we will drive to the village of Dalanzadgad for the Naadam Festival. The Naadam Festival is a major Mongolian holiday and a wonderful time to experience the culture and people of this amazing land. The festival has its roots in the nomad wedding assemblies and hunting extravaganzas of the Mongol Army. 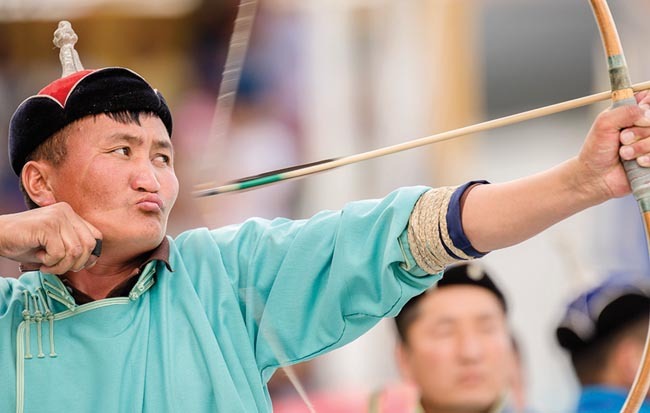 We will enjoy a full day of local Naadam festivities, including: the Opening Ceremony, wrestling (usually 32-64 wrestlers), archery (20-30 archers of all ages) and horse racing competitions (usually 3-6 races, each with 40-90 horses racing). 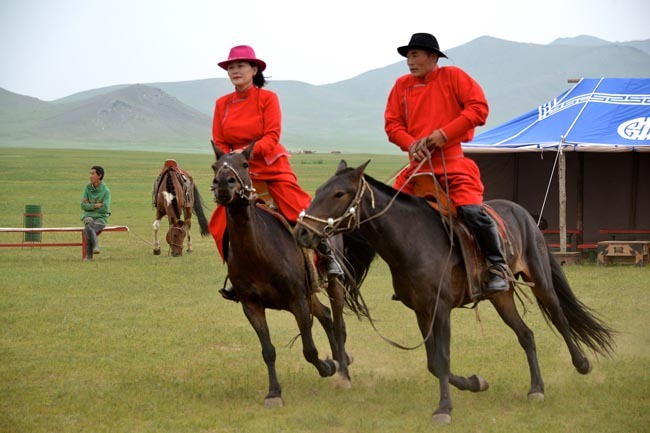 Locals from near and far wear their best clothes and ride their best horses or camels to attend the Naadam Festival. This is a time for music, dancing and singing. It is not all about watching sporting events, as there is plenty to see and do outside -- food, music, crafts or just watching people and culture. This is the best time to see the Mongolian people! In the evening we will return to the Dream Gobi Ger Camp. This morning we enjoy a drive to the Khongor sand dunes -- Mongolia's largest and most beautiful sand dunes that stretch over 180km in the arid Gobi Desert. These isolated dunes are also known as the Duut Mankhan (Singing Dunes) from the sound that they make when the sand is moved by the wind or as it collapses in small avalanches. Our drive to the dunes at Khongoriin takes us through vast desert badlands that span out into the furthest distances, where remote mountains line the horizon. Today there will be many opportunities to stop and take photographs of the landscapes and people. 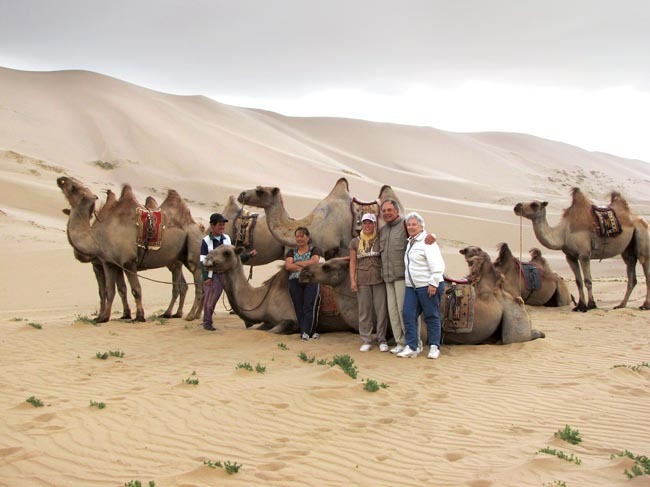 We will visit the sand dunes and enjoy a short camel ride (1-2 hours) at a nomadic camel breeder’s family. We later head to a Ger camp near the sand dunes in order to enjoy lunch. You will have some free time at the dunes until the early evening when we return to the Dream Gobi camp for dinner. This morning we drive to the Khavtsgait petroglyphs where we enjoy some easy walking. Some of this rock art is thought to date back as early as 3000 BC, and the engravings that depict wild animals were most likely drawn by hunters whilst waiting for their prey. Today this is still a good location from which to spot wild mountain sheep and ibex. We later return to our Ger Camp for lunch. In the afternoon we will watch the fascinating documentary about the Flaming Cliffs & its importance. In the early evening we drive for about 45-minutes and visit the Bayanzag - the Flaming Cliffs! This is the place where American explorer Roy Chapman Andrews found dinosaur eggs for the first time. Here we enjoy the wilderness and witness the unique natural formations. There will be plenty of time for you to wander and explore, and we will enjoy a walk in the rich saxual forest. This evening we will watch the inspiring Gobi sunset over the Flaming Cliffs! After breakfast we will head to the Gobi airport and take our flight back to Ulaanbaatar. Today we will take part in a cooking class with a local family in Ulaanbaatar. The cooking class will teach us to prepare 2 kinds of Mongolian dishes -- steamed meat dumplings and potato salad/noodle soup. This opportunity allows us a unique glimpse into the home life/lifestyle of a local middle class family in the city. The experience will provide an education about the modern Mongolian diet as well as the local 'food culture'. You will have some free time this afternoon and then before our farewell dinner we will enjoy a traditional folklore concert by the magical Tumen Ekh Ensemble -- Mongolia's premier traditional performance group. Featuring folk and traditional music, song and dance, Tumen Ekh is a highlight for all visitors. Best Western Premier Tuushin Hotel experience enlivens the senses, instills well-being and fulfills even the unexpressed wishes and needs of ...	guests. All located in the hearth of Ulaanbaatar historic centre. Guest Rooms: Guest tents are traditionally furnished with beautifully painted wood framed beds and furniture. 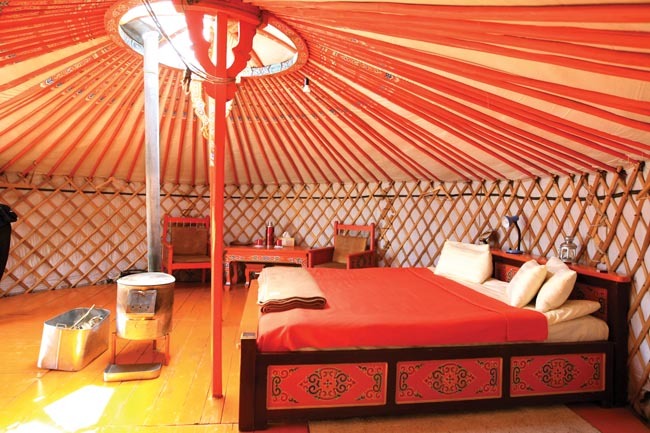 Location: The camp is ...	amidst stunning landscape and beautiful surroundings of the Great Gobi Desert. Its location makes this camp a convenient base to experience the mysteries of the desert. Restaurants: The camp offers a modern spacious on-site restaurant serving authentic Mongolian cuisine as well as a variety of Western dishes. This very comfortable camp features great food, thoughtful amenities, wifi, and clean central toilets & showers. 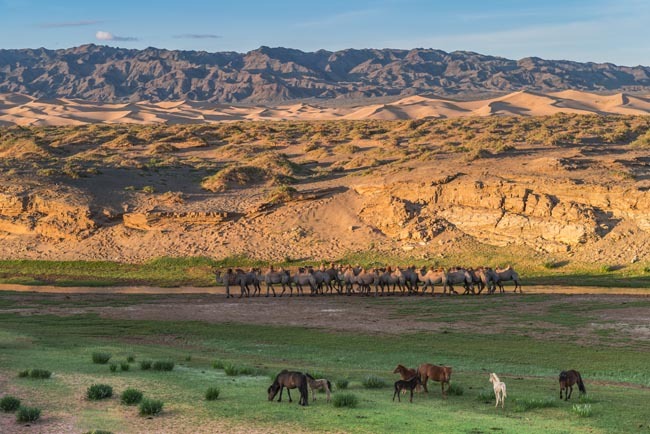 Hustai Ger Camp, located at the entrance to Hustai National Park, is ideally situated for exploring the reserve that is ...	to the wild Mongolian Takhi, or Przewalski's, horse, a native species successfully reintroduced into the country in the early 1990s. The camp has 14 fully furnished gers with two to four single beds in each. Furnishings are traditional and colorful, featuring bright weavings and carved and painted wooden beds. Breakfast and dinner daily (at local restaurants and some hotels); lunches are included on all full days. All transport, accommodation, sightseeing and entrance fees for sites noted as 'visited' in the detailed itinerary. Gratuities for drivers, restaurant staff, porters, local guides. Airport transfers for land & air customers and for early arriving/late departing land & air customers who book their extra accommodation through us. International airfare to/from the tour. Tour Leader gratuities, some lunches, drinks, personal items (phone, laundry, etc), domestic and international (if applicable) air taxes, visa fees, and any excursions referenced as 'optional'. Airport transfers for Land Only customers. Optional trip cancellation insurance. Our post-reservation trip notes offer further guidance on shopping, not included meals, and any locally paid departure taxes. The best time to travel to Mongolia is from early June through the end of September, when travellers can expect an average range in temperature from 10-26 °C (50 to 80 °F); the Gobi gets hotter, up to 35 °C. 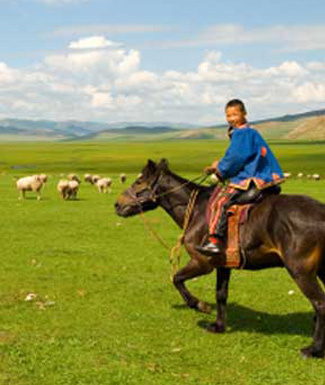 Mongolia has approximately 260 cloudless days a year, hence its reputation for endless blue skies. The rainy season extends from mid-July to August; showers are usually brief but can be heavy. You always should bring some kind of light rain gear. Because Mongolia is located far from any oceans, the humidity is generally very low. Our annual trip coincides with the annual Naadam Festival. In the capital city and surrounding areas, we use buses and minivans as required. Outside of the capital region there are few paved roads; most roads are graded dirt tracks that are often bumpy, and dusty or muddy. Flights via scheduled local carriers. All efforts are made to ensure that vehicles are in excellent condition, though punctures and weather may cause delays and require patience. Nonetheless such overland expeditions provide the chance to experience the vast landscapes of Mongolia with the flexibility to stop and meet local families along the route. We have numerous walking tours and visit several sites that are LARGE with steps and uneven surfaces. Porters are generally available at hotels/gers but you must be able to manage with your baggage at airports. Due to the remote location of most of the ger camps, a general lack of resources, and transportation challenges, travellers with very specific dietary preferences may not be easily accommodated. While vegetarians and those with restrictions that are medically indicated can be catered to if we are advised in advance, we urge all travellers to be flexible and open to the excellent and hearty local fare provided at the camps. The camps have a maximum capacity of about 20 guests in double occupancy gers that are fully collapsible, and all feature en suite toilet and bath (some online information and reviews may reference central toilets - all of our gers are upgraded to include en suite throughout by 2017). A stove is placed in the middle of each ger and the staff will attend to it in order to provide warmth on cool nights. Towels are provided. Soft drinks, wine and bottled water are available for purchase from the camps. The camp can be relocated leaving no more impact on the area than a herdsman family would. Solar panels and windmills generate some electricity for refrigerator and kitchen use.